Leave all suggestions for the mod either under "Suggestions" on the SWDTeam.com forums with the tag [Xplosives] in the title or as a comment to this post. You can find crafting recipes on the mods official page near the bottom. Just like the idea of "mcfilmmakers", do you think you could add a Mushroom cloud to the Hydrogen Bomb? 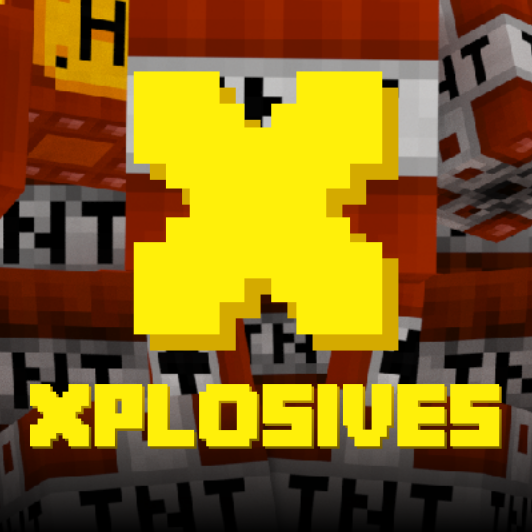 Can you add some kind of TNT that is rotatable and focuses its explosion in a specific direction? Where can we find recipes for this mod. Dagome GF is foaming at the mouth. That arrow bomb came out real nice, thank the Lord above for the remote detonator. She laughed so hard at the hydrogen bomb that she had tears in her eyes. Could you pretty please make this happen, I would be grateful and she would be appeased, lol. I also like the arrow bomb idea. I'll quickly port it to 1.12.2 now. It does work with it, I just forgot to add the version number to the list of accepted Minecraft versions! You sir, are the bomb. Lol! I know...I am very punny! this mod is really cool! my favorite tnt type is the physics bomb. Arrows spray everywhere when the bomb explodes. I love the physics one so much. Had so much fun with it whilst testing the mod! Love the arrow bomb idea! Going to add it for the next update! Is there a possibility of this mod taking on some base defense options? Landmines, trip wire explosives, bomb lobbing turrets? Preferrably explosions that do not do block damage. It wouldnt be much defense of the base if it destroyed the base it was defending.